My old car broke down again last week. 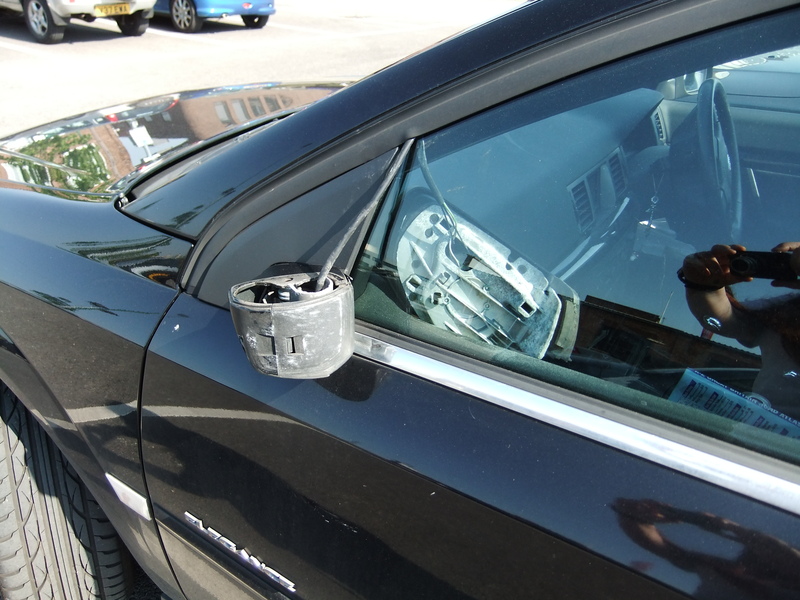 OK, so I’d upset it by knocking one of its ears off the previous day, but it seemed a bit excessive of it to decide not to go into first or second gear as a result. Garage said it’d cost an arm and a leg to repair both faults, so I had to accept it was time to say goodbye to the poor old thing. How on earth was I supposed to find the money for a new car? I’m too old to be going to my parents with a begging bowl, but that was what I ended up doing. 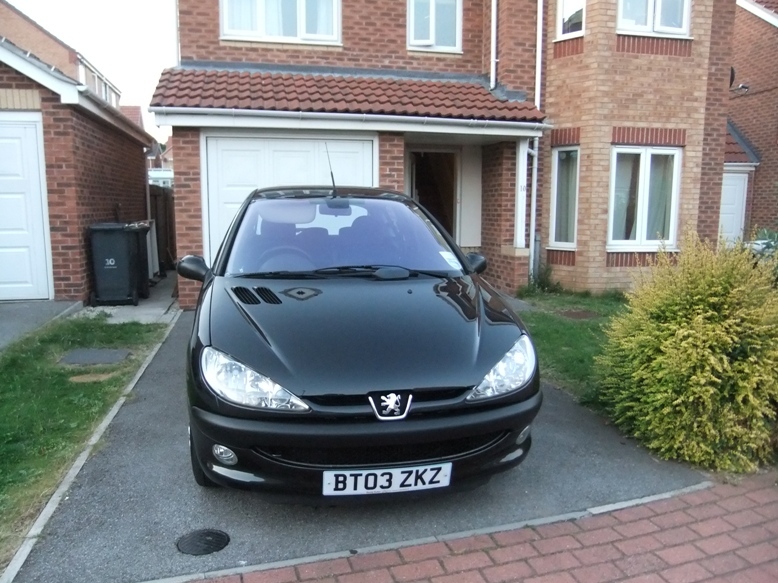 Thankfully both were willing and able to cough up a small amount of dosh, so I could afford to buy a Peugeot 206 which is, as it turns out, older than the Vauxhall, but has fewer miles on the clock and comes with a two-year warranty and breakdown cover and service/MOTs paid for. I was never very fond of the old car. Not quite sure why, as it was a good little runner till about a year ago. 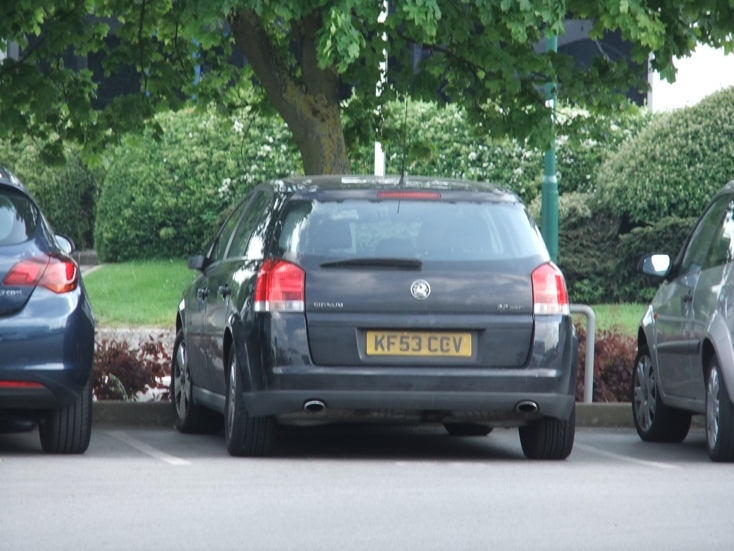 And the new car isn’t too bad – it’s much smaller so will be cheaper to run, quite apart from anything else. So why was I so upset when I went to swap the two over yesterday? It turns out I don’t like not having enough money to live on. To be honest, I haven’t had enough money to live on for the past two years, but it’s never mattered because I’ve been able to borrow against the equity in my house. The idea is that over the next year or so my income will start to exceed my outgoings, and eventually I’ll be able to pay back the loan. And this has to happen before I reach my borrowing limit, or I’ll be homeless. I’m not looking for sympathy, don’t worry. I’m perfectly happy and fulfilled in my life. But… why is it so hard to make money in the writing industry? I work at least twice as hard as I did in my previous career (where I was easily earning enough to be in the 40% tax bracket), and I know what I do makes a lot more difference to people around me than developing software that helps big companies market themselves better. Something’s askew somewhere. Buggered if I know what it is though. I guess I’ll just keep soldiering on and assuming it’ll all work out in the end. I will keep smiling though! I’m involved in a couple of exciting projects at the moment. Actually, I’m involved in a LOT of exciting projects (you know me, it’s what I do), but there are two I want to tell you about. The Nottingham Poetry Society, in partnership with Nottinghamshire Libraries and Five Leaves Publications (who published the anthology Poems for the Beekeeper in 1997 to commemorate the fifteenth series of Beeston poetry readings) with support from Writing East Midlands, is now working on re-establishing the series in the wonderful new upstairs space at Beeston Library. We’ve got one event lined up already – Neil Astley will be reading on November 24th 2012 – and another is in the pipeline for October 2012. I’m designing the logo for the website at the moment. And then I’ll build the website. It’s all very exciting! Next February, there will be a literature festival in Nottingham! ‘About time too!’ I hear you cry. It will take place in various city centre venues on the weekend of February 15/16/17 2013, to coincide with Light Night on February 15. The Nottingham Festival of Words will take place for the first time in the City next year. It will be a great celebratory event bringing together diverse forms of word-related cultures, and will include all forms of literature, spoken word, theatre/film, and anything else connected with words. Nottingham Festival of Words is looking for event and activity proposals that will enable and encourage the public to engage with literary culture in all its forms. If you are an individual, group or organisation working with words we would love to work with you, so tell us about your event ideas. Publicity will be created for the Festival as a whole, incorporating information about all of the events. A central venue will act as a hub, with a book market and a selection of spaces for events, while other venues throughout the city will also host events. A dedicated team will manage the Festival, deciding on the programme, producing publicity, liaising with the central venue and facilitating events – for example by providing a Festival Box Office and helping organisers to find venues for their events. Individuals, groups and organisations are invited to propose events for inclusion within the programme. The Festival will be themed around ‘Lace and Love’ in 2013. There is a city-wide ‘Lace Season’ taking place in the months leading up to and culminating with Light Night, and you’ll note that the dates are very close to St Valentine’s Day. Your event need not be directly related to the themes, but we hope that most events will have at least some connection. I’ll post the website address here as soon as it’s live (real soon now!) but in the meantime if you would like to propose an event for inclusion – deadline is June 30th – email me or nottwords [at] gmail [dot] com and ask for a proposal form. It’s going to be HUGE! You really want to be involved! I can’t believe I haven’t posted anything since April. There was such a good response to the possibility of releasing all Rose Fyleman’s books that Ross has chucked everything else off the schedule and we’re going to do it! 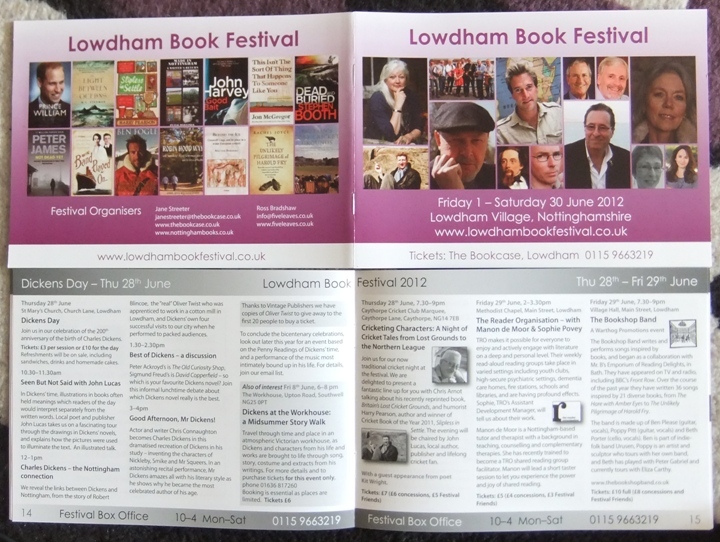 Life at Five Leaves has been very busy – lots of ebook production, more typesetting, designing the programme for Lowdham Book Festival, which I’m very pleased with. Recent book releases include Michael J Malone’s Blood Tears, typeset by yours truly, which sold out at the Bristol Crimefest bookshop on the second day of the festival, and 1948, a comic novel about the 1948 London Olympics, written in Pushkin sonnets by Andy Croft and illustrated by Martin Rowson, which was Nicholas Lezard’s book of the week in The Guardian. On top of that, I worked with Mark Gwynne Jones and students at Springwell College towards what was an excellent performance at the Chesterfield Lyric Lounge. I was so proud of them, those who performed (Matthew, Ashley, Chloe L and Courtneyrose) and those who didn’t. 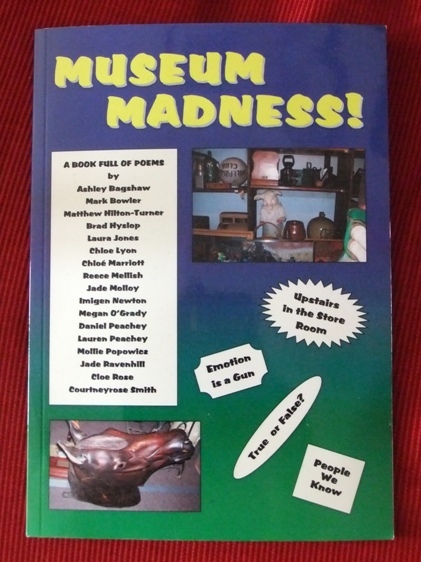 The anthology of their work is fantastic, a lovely souvenir of an inspiring project. The best moment was when Matt and Ashley came up to me and said ‘Miss, we’ve asked Mrs McCabe if we can carry on writing poetry, and we’re going to do it at lunchtimes.’ Wow! Poems look hard, but they are easy if you put your mind onto paper. Never give up, if you make a mistake don’t let it stop you, keep writing and edit at the end. The mistakes give you more inspiration. Eurghhh! Don’t get me started on how boring we thought it would be. But when we did the first session we decided it was actually quite good. … It was fun!!!! We enjoyed! Eurghhh! Don’t get me started on how much I didn’t want to work with schoolchildren! I almost didn’t turn up on my first day, I was so nervous. But every single moment of it has been fantastic. The students were funny, inspiring, clever and interesting, and I feel no shame about the tears of pride I shed on May 12th as I watched them perform their work. So that’s a lesson learned for me too. I’m determined to take every opportunity I can in this wonderful weird writing game, because I never know in advance what’s going to work for me.